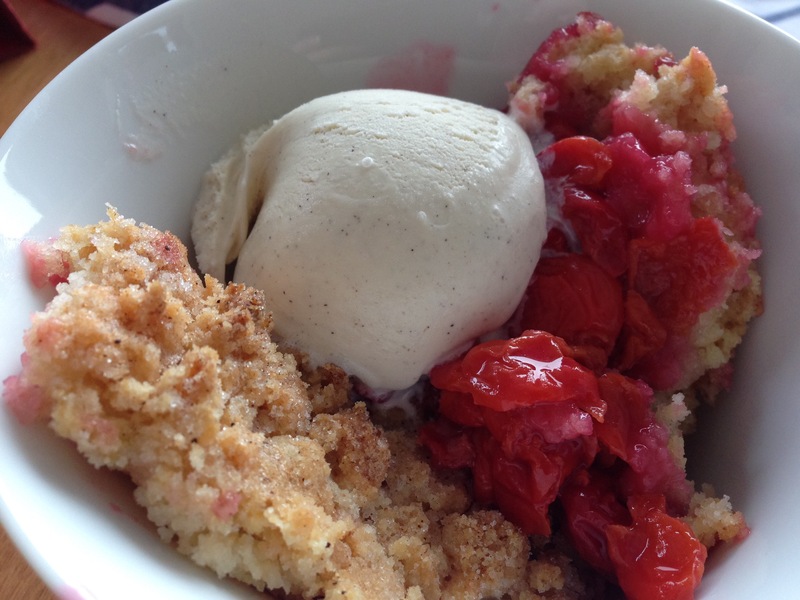 I love this cobbler recipe. 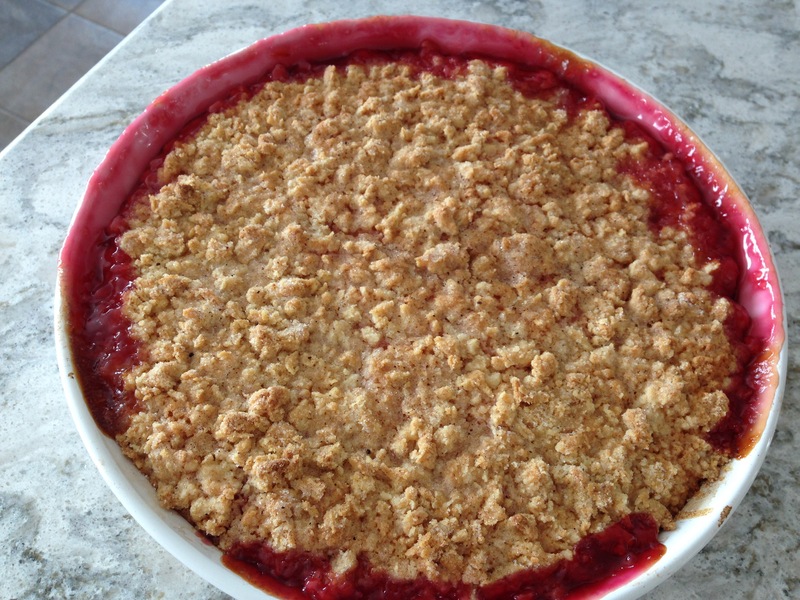 It gives a crispy topping without using oats (I love oats too, but we have One Who Cannot Eat Oats in the family, so alternate toppings are a nice thing to have in my pocket. 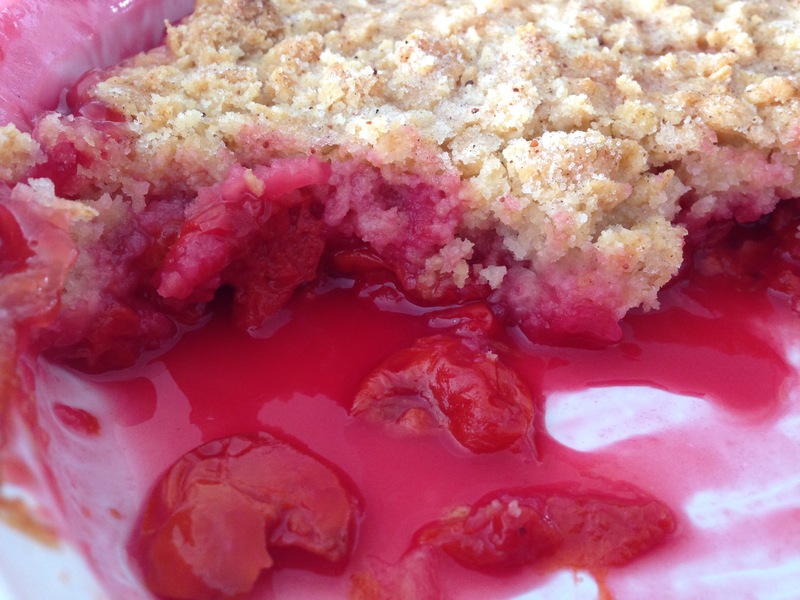 I made this one with sour cherries I had in my freezer, but you can use any kind of berry or soft fruit like plums or peaches instead. 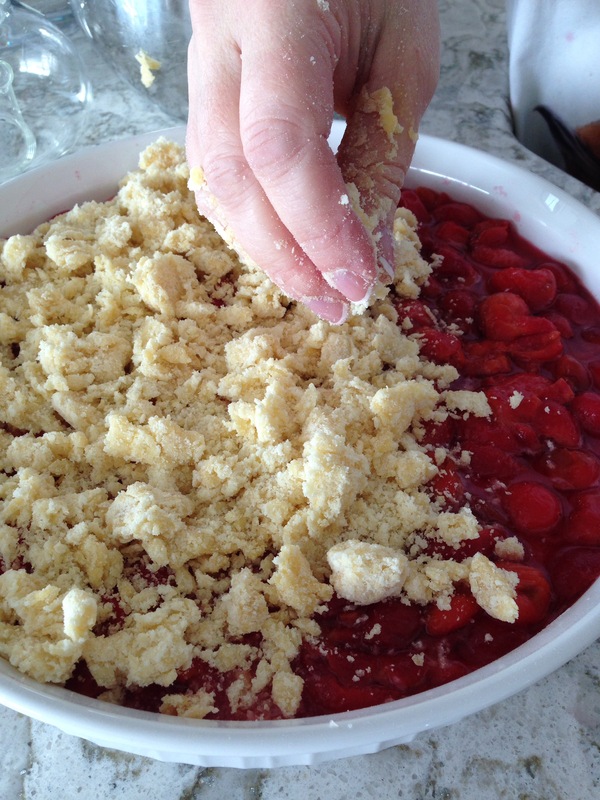 Combine the dry ingredients, then cut in the butter, leaving some peas-sized pieces. Add the vanilla (or almond extract) to the egg. 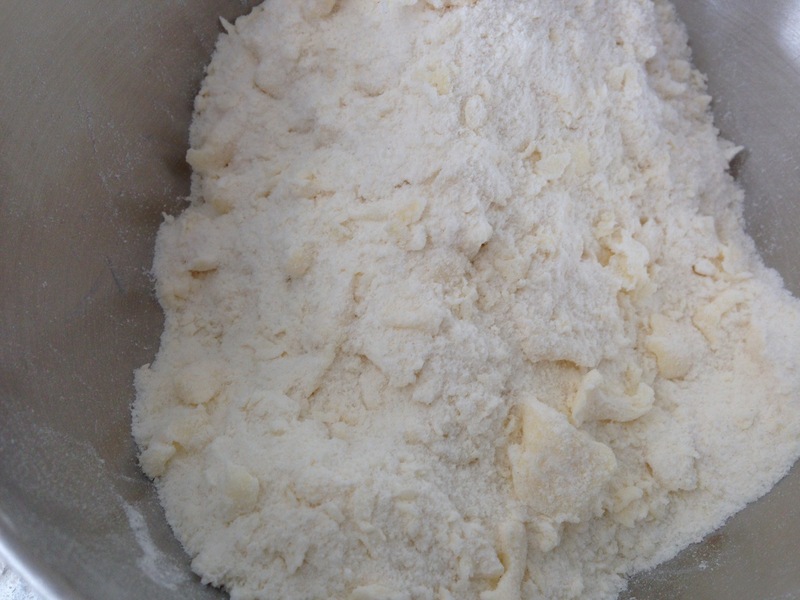 Stir into the dry ingredients with a fork and then bring it together with your fingers, being careful not to overwork it. 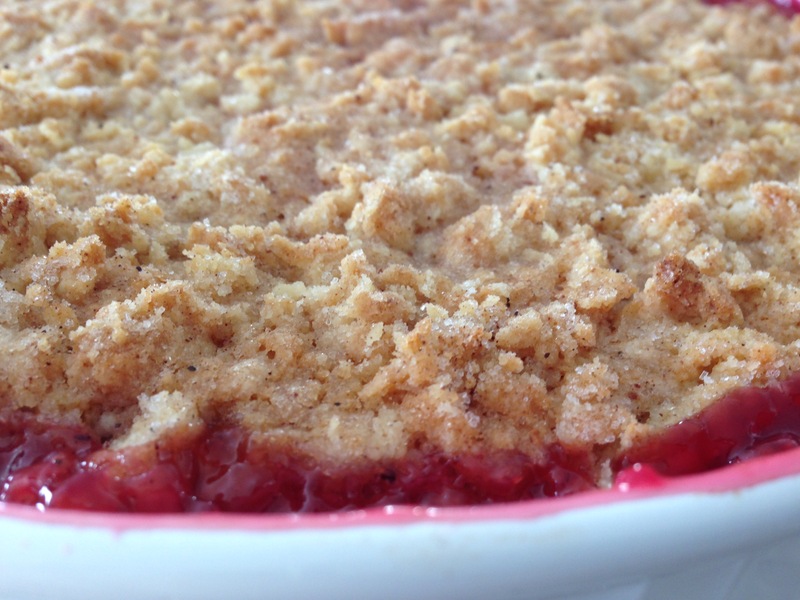 Crumble it over the fruit, and sprinkle with the tablespoon of sugar. Bake in a preheated 375 degree oven for about 35-40 minutes. 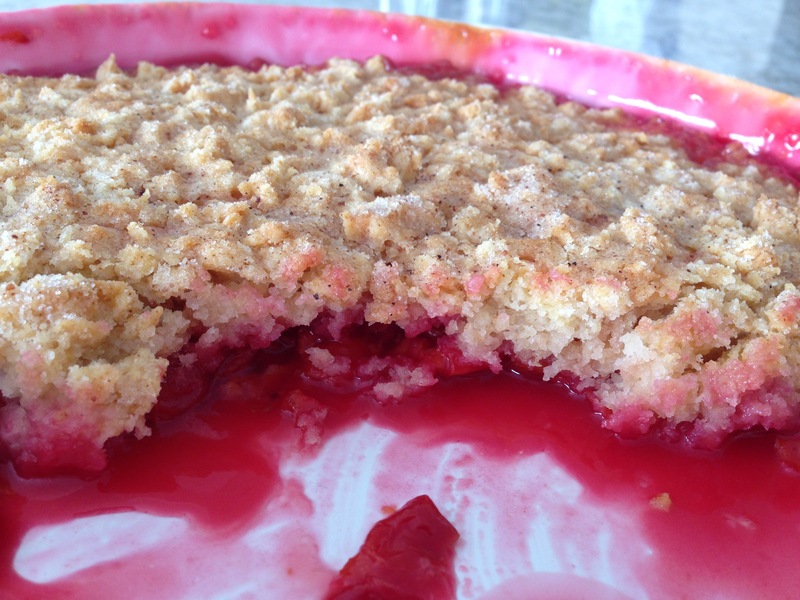 When served fresh, the cobbler topping is crispy, crunchy and sweet. It softens if you keep it in the fridge, but still tastes yummy. 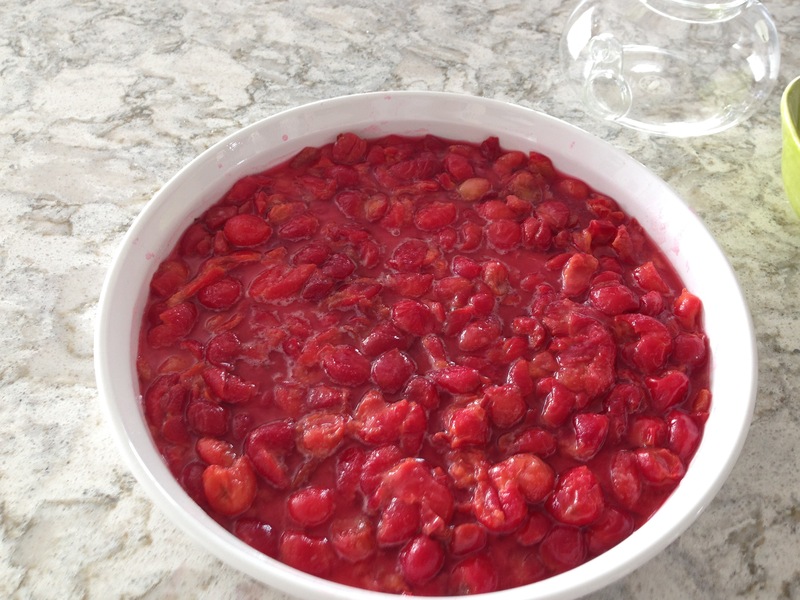 Because the cherries are really quite tart, I like to serve this with ice cream.